Ah, sweet summer. The bright sunshine, warm breezes, lazy days at the pool and vacation time make the season a favorite among plenty of people. Fun for the whole family. However, while it’s certainly enjoyable for a while, all good things come to an end. So too does the ease of the middle months, and it’s back to school for the kids. Summer is over. Whether we like it or not, it’s time to close down the pools and put the sunscreen away in favor of sweaters, pumpkin spice and extra chilly breezes. That’s right: autumn is in the air. It’s time to think about another deep clean in your house before you and your family nestle in for the fall and winter. But before you get started, it’s important to know that having a clean home is much more than polished furniture and vacuumed floors. 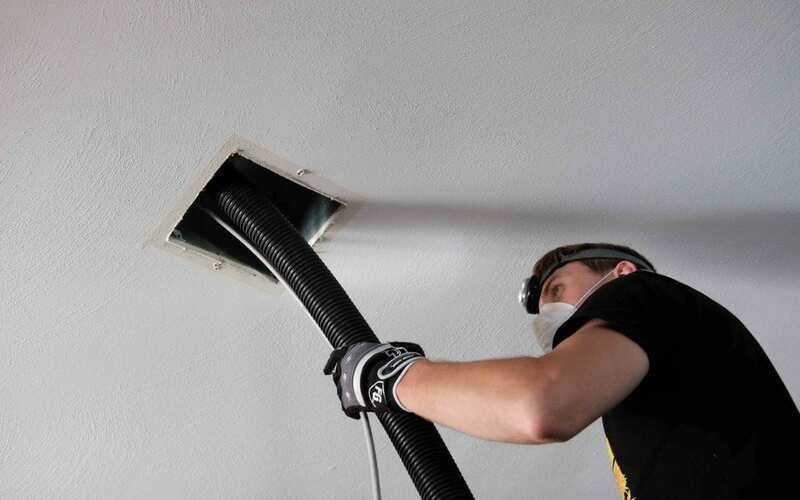 Since we’ll be spending more time indoors with our friends and family this season, especially as Thanksgiving and the holidays approach, you should consider adding an air duct cleaning to your list of things to do. Did you know that most Americans spend an average of 80-90% of their day indoors? This time may not necessarily be spent in your own home; there are offices, stores, schools, and other buildings we enter every day. But as the weather gets colder, outdoor adventures will happen less and less. The air you breathe in your home could use a little attention. In other words, your air ducts will need some maintenance. There’s no sense in nesting indoors for the fall and winter with potentially dirty air circulating through your home. There are countless harmful things that can build up in a house’s ductwork over time. 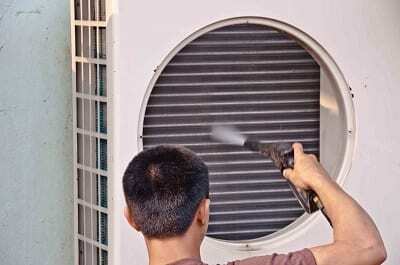 Dust, grime, mold spores, animal dander, and other nasty particles have been finding places to nestle in your home’s air ducts all summer while you’ve been enjoying the sunshine. You may not have noticed the effects of this before, but you will when your family cozies up for fall activities like pumpkin carving, cooking and watching scary movies. Poor air can irritate your eyes, lungs, and skin, and can especially spread illnesses like colds and flus. ‘Tis the season. One little sneeze or a cough can infect the air around your house, and your air filtration system will circulate such air through every room. No one wants to get sick around this time of year; there are so many exciting things to miss out on! With tree leaves turning color and falling down, you too should come down on your dirty air ducts. At DuctVac Northwest, we’ll give you a free consultation over the phone and put your mind at ease with our A+ rating through the Better Business Bureau. Our trained professional technicians will get the job done. You can count on us to keep your air spick and span before the busy holiday season takes you by surprise. Stay healthy this fall season and schedule your air duct cleaning today.